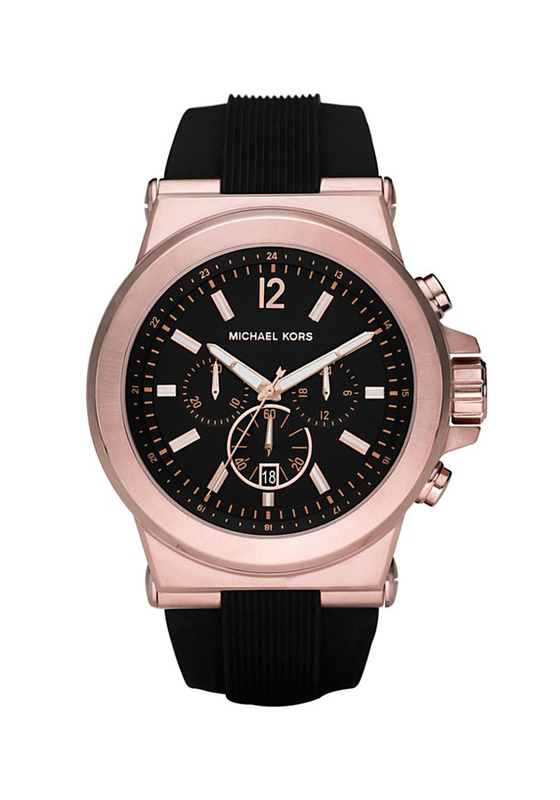 Stylish Michael Kors Watch features a rose gold plated case, set around a striking black dial which features rose gold details. 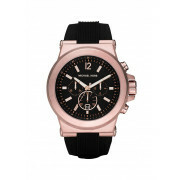 Fastening with a thick black rubber strap, and rose gold buckle. Big, bold, & seriously cool.